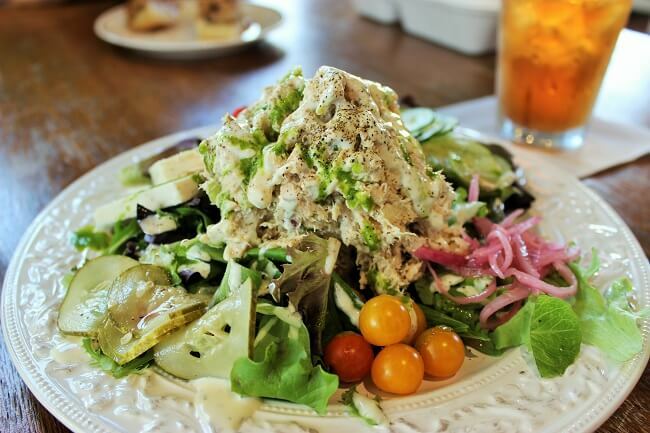 Below are my current 25 Favorite Restaurants in Arkansas Outside of Little Rock. More than six years of “research” and many miles of driving went into this list, and while it’s not perfect, I feel it is a fun and informative look at some of our state’s best offerings. Now remember, this is not a Best of Arkansas post. It’s only a look at my favorite places from the restaurants I’ve actually visited. There are still many spots for me to check out. Also, this list only includes restaurants in cities/towns outside of Little Rock area (North Little Rock, Sherwood, Bryant, Benton). Finally, food plays a large part in my rankings, but this post is about more than food. Atmosphere, charm, and history all factored into my decision. I can tell you for a fact that Hurley House does three things very well: burgers, fries, and fried catfish. The thick, double patty cheeseburger is a must order, if you’re able to pass up the small buffet where you can load up on the fried catfish. Speaking of buffets and fried catfish, Dondie’s in Des Arc is an absolute site to behold. Ride up on a Saturday afternoon to see a line of folks waiting outside of the restaurant, which also doubles as a massive fake riverboat, to open up. Once inside, you’ll find a sea of people crowded around a buffet of fried food delights. The crown jewel is the fried catfish. Tubs of it are refreshed every ten minutes to keep up with the hungry masses. This restaurant, and the town of Paris, for that matter, are just plain cute. The food at Grapevine is simple but prepared with love, especially the complimentary loaf of bread they put on each table. Full disclosure, while I’m friendly with most folks in the restaurant industry, only a few are truly close friends. Stoby’s owners David and Patti Stobaugh fall into that group. 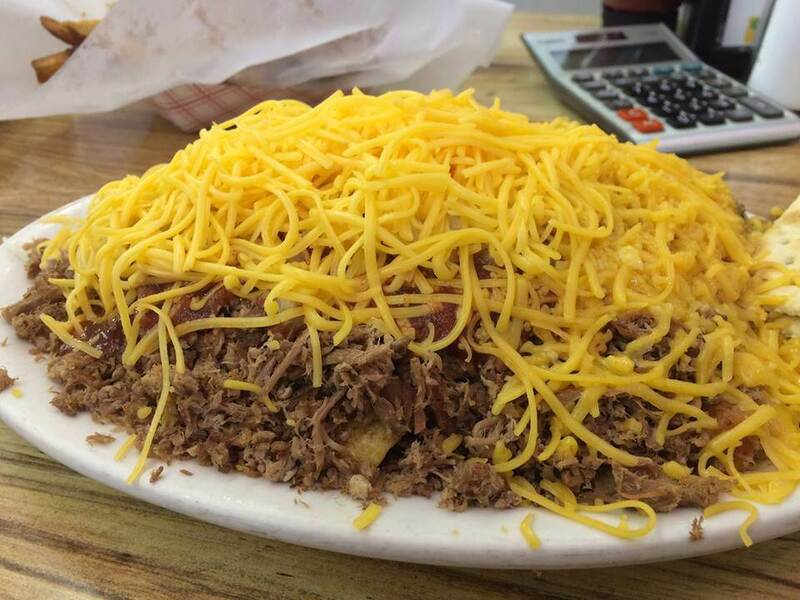 As for the restaurant, the food is consistently good, especially the cheeseburger, monster-sized breakfast burrito, and the iconic cheese dip. We don’t have much by way of Korean food here in Little Rock, so when I find a spot in the state that serves the cuisine, I’m gonna jump all over it. KJ is Fayetteville is that spot. Ermilio’s serves your standard fare of Italian food options in a cozy, downhome setting in Eureka Springs. 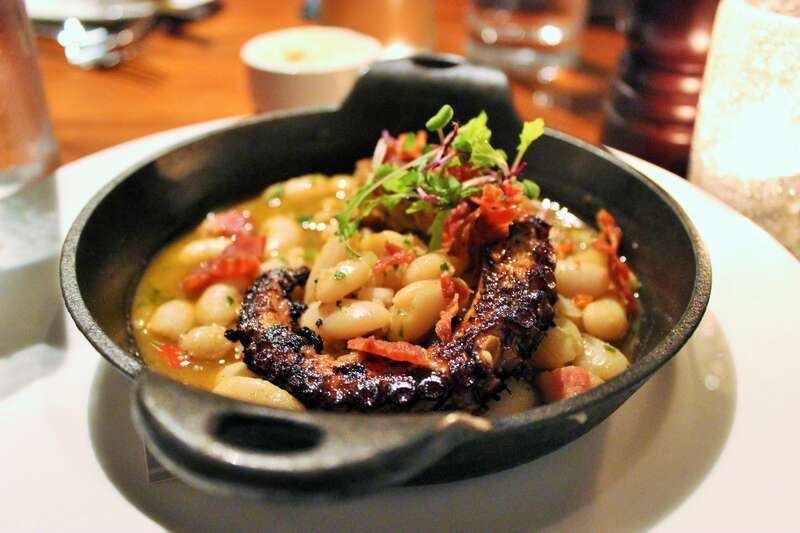 I think most folks who take a weekend getaway to ES have the restaurant on their must-do list. I’m one of them. 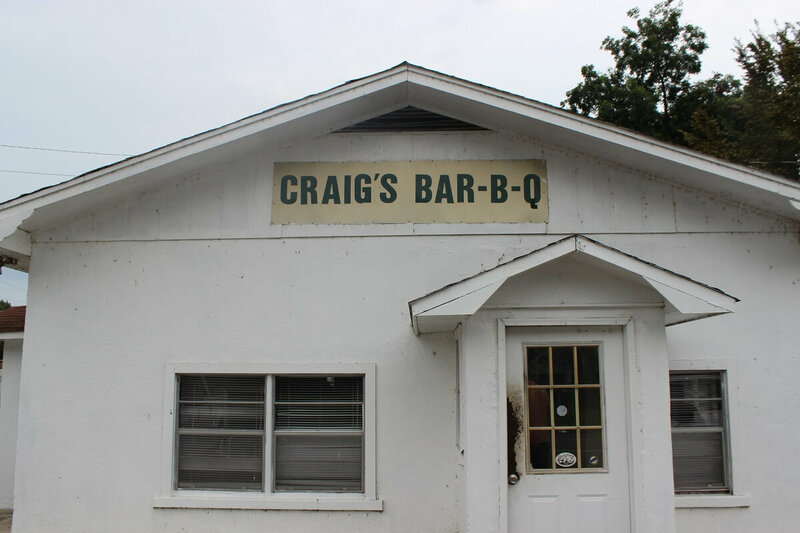 I’ve found that people either love or hate the bbq at Craig’s. I fall somewhere in the middle. The meat is tender, but I’m not the biggest fan of the sauce. That said, I love the character and history of the restaurant. If I’m not in the mood for a bbq sandwich, the cheeseburger is an excellent alternative. Either way, devouring food while leaning against the hood of your car is always a cherished memory. Rubis is a tiny food truck in a trailer park. 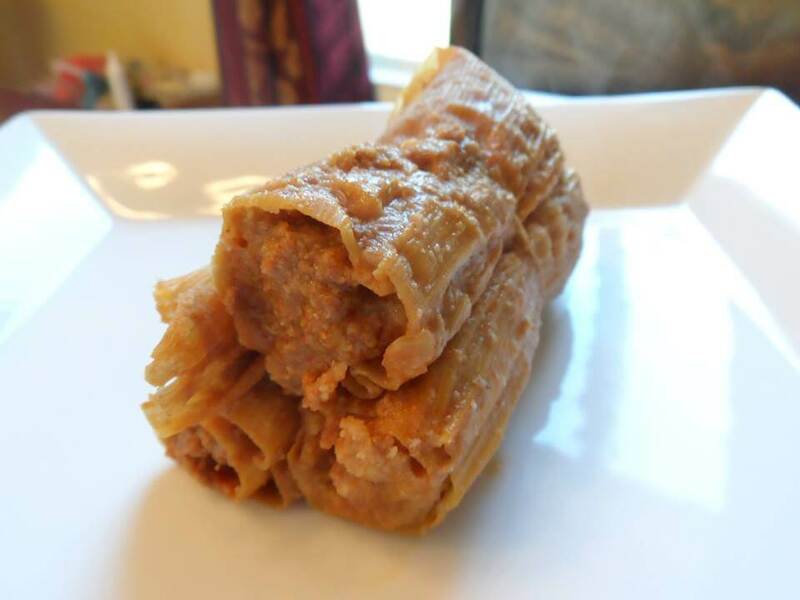 This ultimate hidden gem does one thing better than anyone else in Arkansas … Mexican tamales! The meat-to-massa ratio is perfect, so if you go, make sure to get several dozen. You won’t be disappointed. 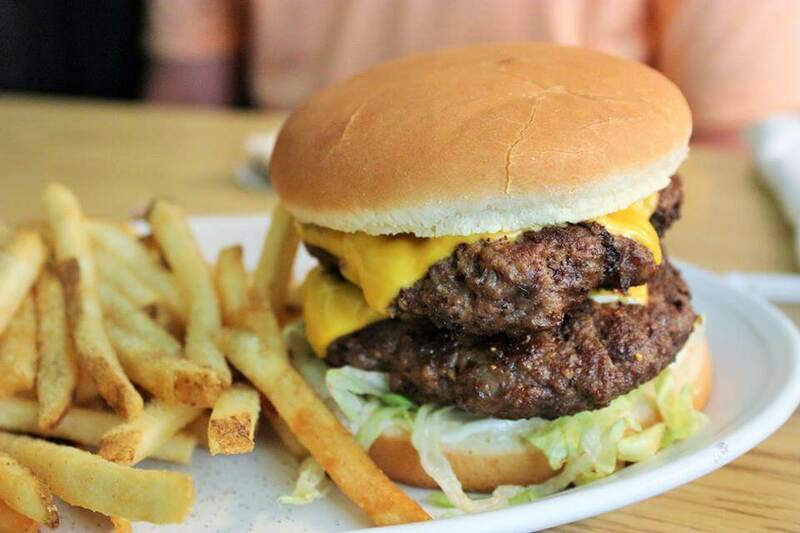 This dome-shaped, 52-year-od dairy bar in Redfield serves burgers, fries, tots, onion rings, shakes, and chili dogs, as well as lunch plate options like chicken fried steak and hamburger steak. 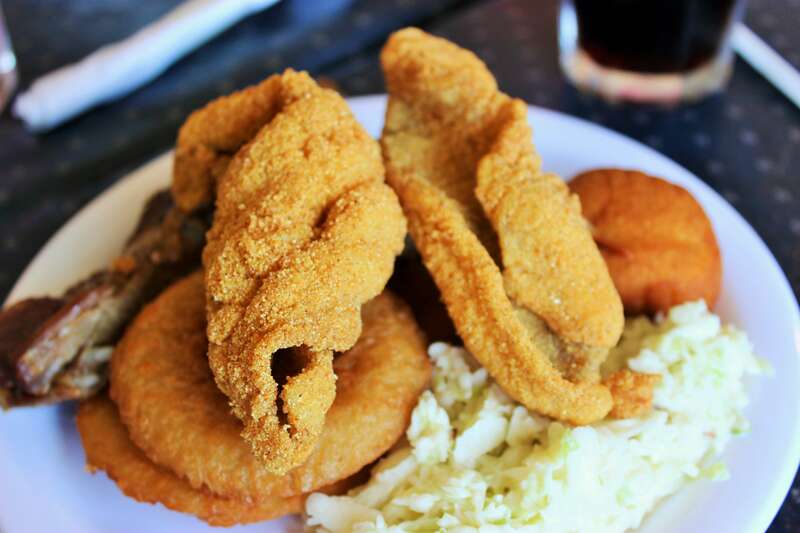 Friday is fried catfish day, offered at both the lunch and dinner service. Don’t get me wrong, the breakfast at Ferguson is pretty darn good, but the reason to go is the cinnamon roll. 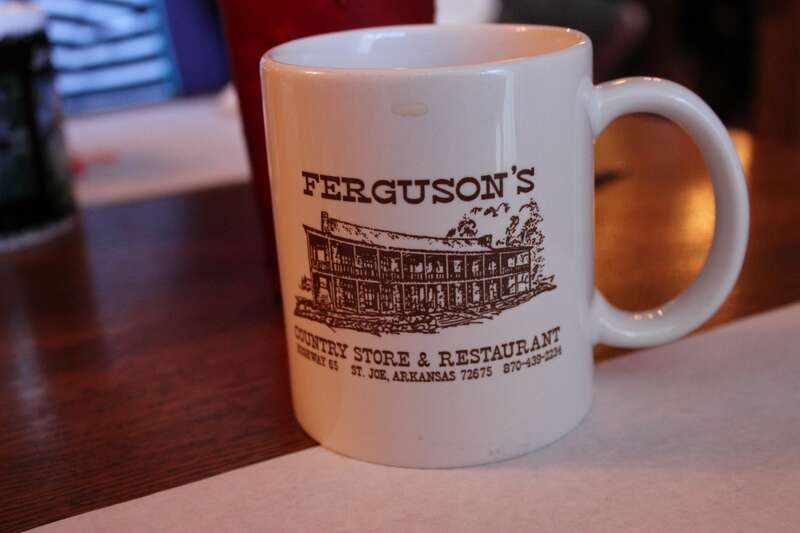 It’s the best I’ve come across in this state, making Ferguson’s a must-stop if you’re driving through St Joe. I’ve only been once, but can tell you the pho at Pho and More is absolutely fantastic. 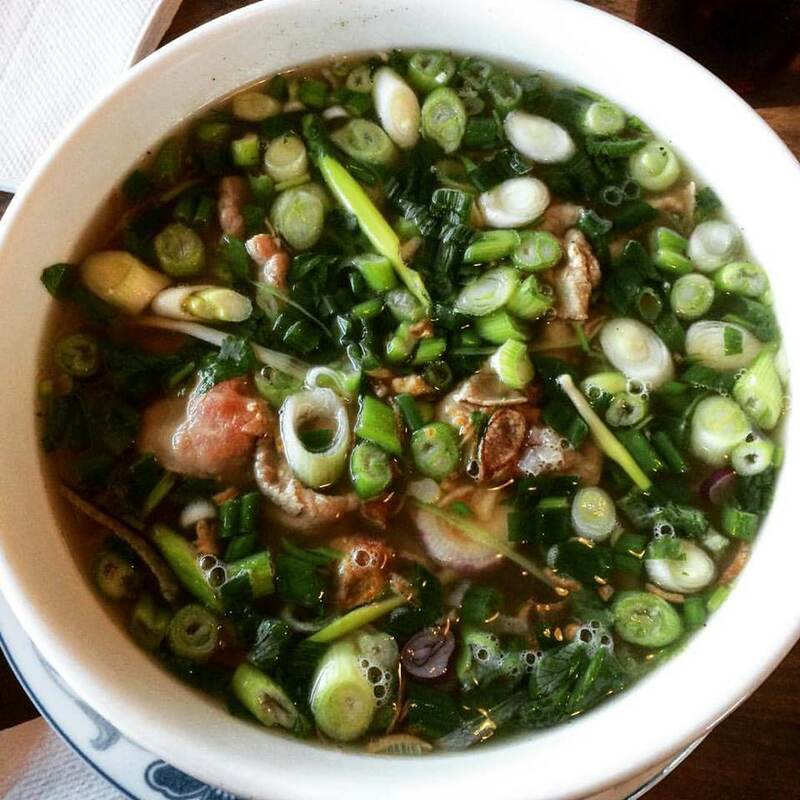 Thin slices of rare beef and a pile of green onion and cilantro help elevate an already flavorful broth. The atmosphere and service left a little to be desired on my visit, but the food at Pho and More was definitely worth the drive. Truth be told, I’m not the biggest fan of Delta-style tamales. 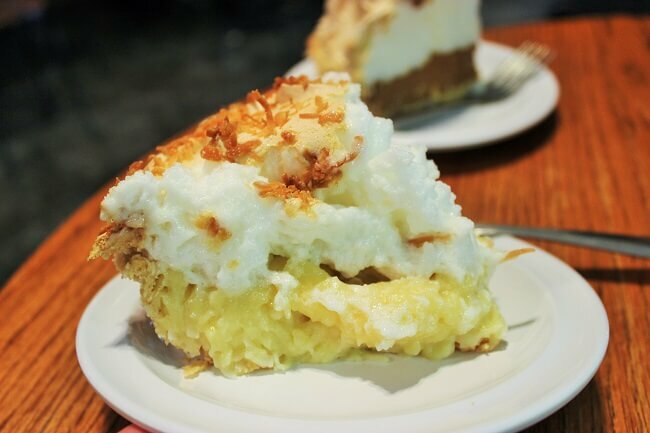 But, and you’ll see me write this a few more times on this post, I am a big fan of history and restaurants that have made a huge impact on our state’s food scene. Rhoda’s is without question one of those spots. And another is Jones Bar-B-Q in Marianna, winner of a James Beard Foundation’s “American Classics” category. In my humble opinion, every Arkansan should visit Jones at least once. The folks are super friendly and the tangy pork sandwiches with slaw are absolutely delightful. Just make sure to arrive early. When the food runs out, that’s it. My wife and I try to make it up to Eureka every year or two and breakfast at Mud Street Café is always on the itinerary . Listen, the food isn’t mind-blowing, but it always satisfies, and I love the setting. 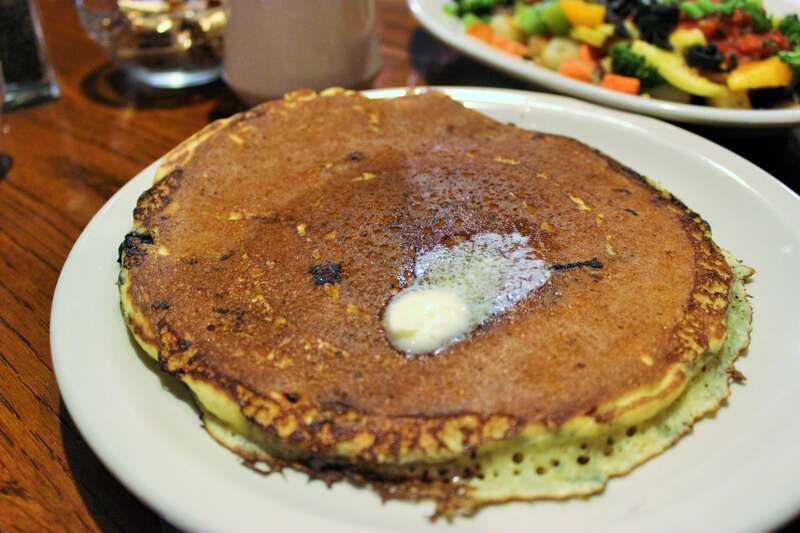 The pancakes, omelettes, and coffee are all excellent, as are the desserts. And don’t pass up the moonshine Bloody Mary. You haven’t lived until you’ve stopped at Coursey’s for a smoked turkey and American cheese on white bread sandwich. But guess what? 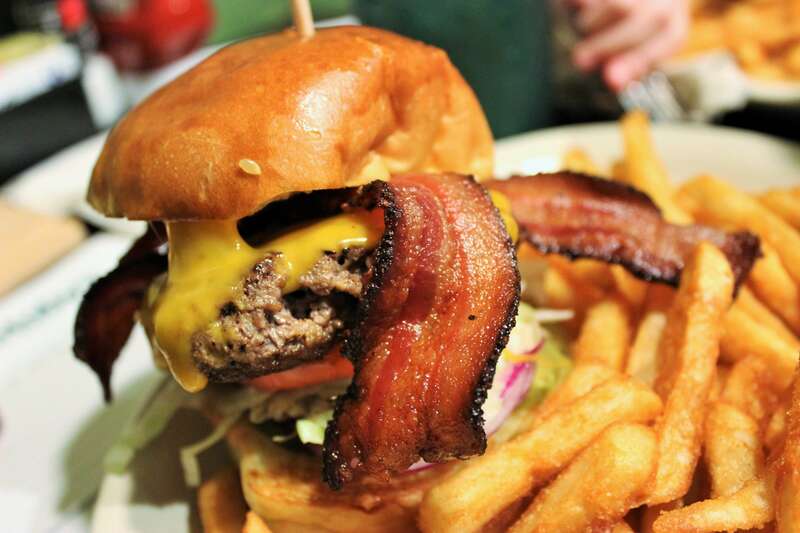 The real prize is the smoked bacon. 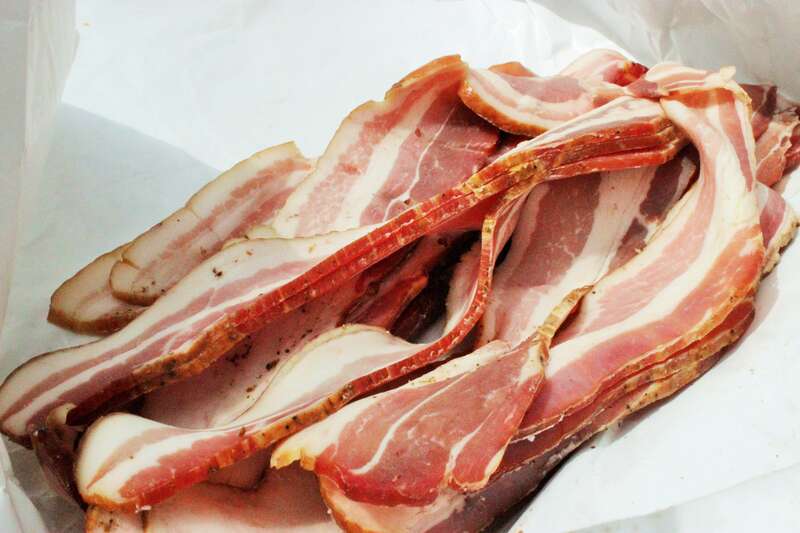 Get several pounds to take home and later fry up some of the best bacon you’ll ever eat. If you follow this blog on a regular basis, then you now how much I enjoy Thai food. Specifically, I think kBird in Little Rock is amazing. And while Taste of Thai isn’t quite to that level, folks in Fayetteville should be happy to have the restaurant in town. 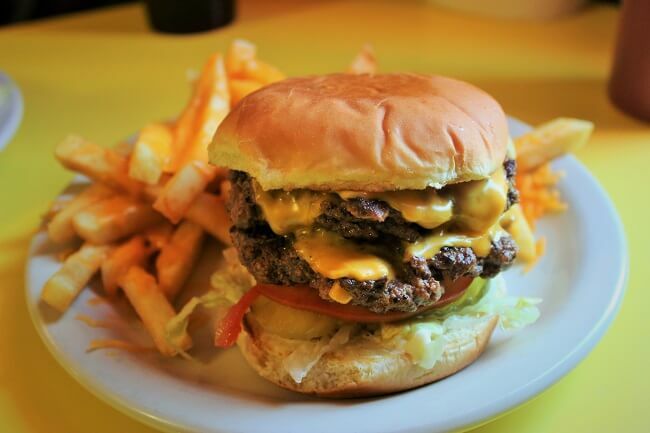 On a national level, McClard’s is easily our state’s most recognizable restaurant. And while the actual bbq can be a bit polarizing, there’s no denying this place’s impact and legacy in Arkansas. I’m on record for loving the Half Spread, but I’m also fond of the charm and character of McClard’s. I recommend sitting at the bar during lunch and taking it all in. We drive to Oklahoma City a few times a year to visit my in-laws and usually stop at Green Papaya in Ft. Smith a couple hours into our trek. While I wish the restaurant was a little closer to I-40, the dishes of vermicelli bowls and flat noodles with vegetables are well worth the extra time added to the drive. Let me get right to the point. This is my favorite restaurant pie in Arkansas. And I don’t care if you like chocolate cream or caramel or banana cream or pecan. It’s all wonderful. Just make sure you order dessert first, as they’ve been know to run out. Also, don’t pass up the strawberry cake or the Keo Klassic sandwich. I’ve never been very fond of crepes until a visit to Crepes Paulette’s food truck about five years ago. Thin, crisp, and filled with ingredients like dark chocolate, strawberries, and cinnamon, these crepes are quite memorable. And there’s now a brick-and-mortar about a mile away from the truck. A lot of restaurants tout the farm-to-table concept, but the folks at WunderHaus in Conway deliver on a truly local dining experience with delicious and creative spins on European comfort foods. And I love the atmosphere. The restaurant is a fairly small, cozy spot, filled with up-cycled items. The Hive has it all … a hip, modern décor, attentive service, and food that straddles the line of classic and innovative. The wood-fire grilled pork chop is their signature dish, but the house-made pasta is also a winner. If you’re staying at the 21c, make sure to also go for breakfast and order the cheese grits with a poached egg. 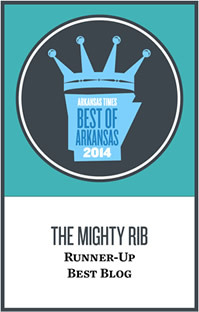 I’ve only been to Wright’s once and had take-out another time, but can safely say this is the best bbq in Arkansas. 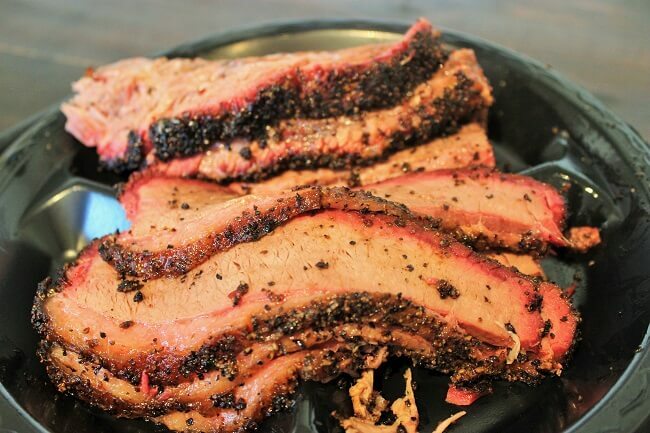 The brisket is the real show stopper, but all of the sides are also winners. And the sauce, my goodness, the sauce! Get there about 30 minutes before opening or be prepared for a wait. We’re now getting into rare air, so that means you’ll read another “best” used in my writing. 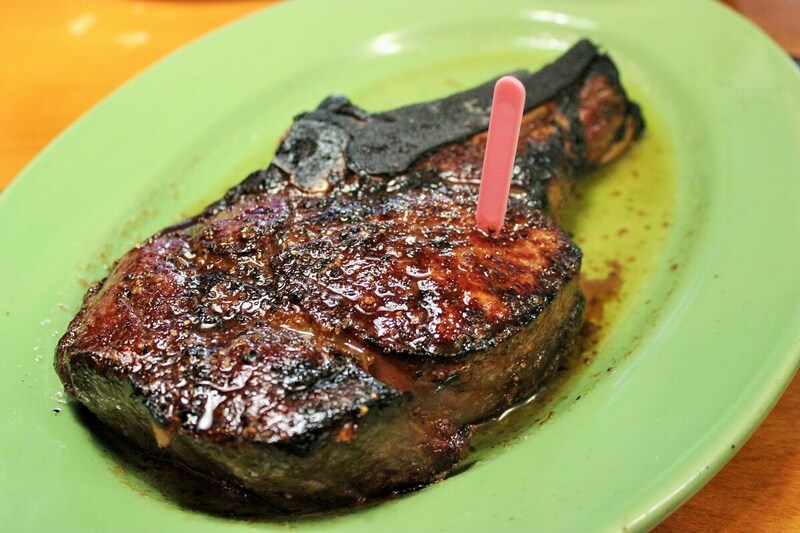 But if you’ve ever eaten at Taylor’s Steakhouse in Dumas, then you know this is the best steak in the state. The aging process is incredible, yielding a tender slab of meat with a slightly funky, crisp crust. 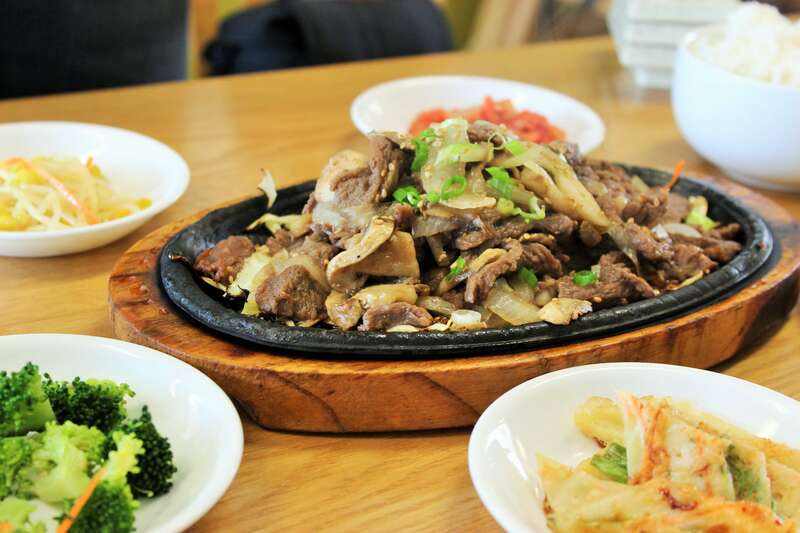 The result is forkfuls of a melt-in-your-mouth beef served in a downhome, casual atmosphere. 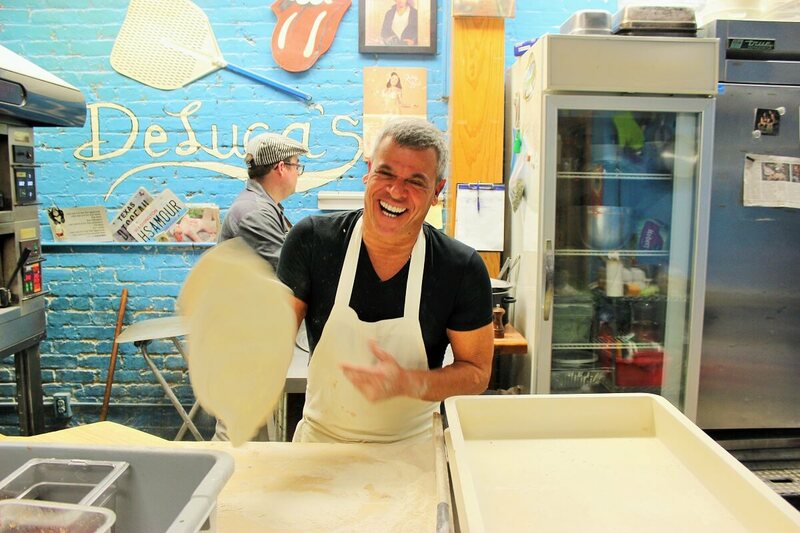 You just knew Deluca’s had to be #1. Heck, each time I ask the “What is your favorite restaurant in Arkansas” question on the blog, Deluca’s gets about 100 mentions. I’ve even gone so far as to write, “What is your favorite restaurant in Arkansas not named Deluca’s?” The pizza, created with the mind and hands of Anthony Valinoti, really has it’s own style. Both crisp and chewy and topped with the finest ingredients, this pizza is some of the best you’ll eat. Anywhere.